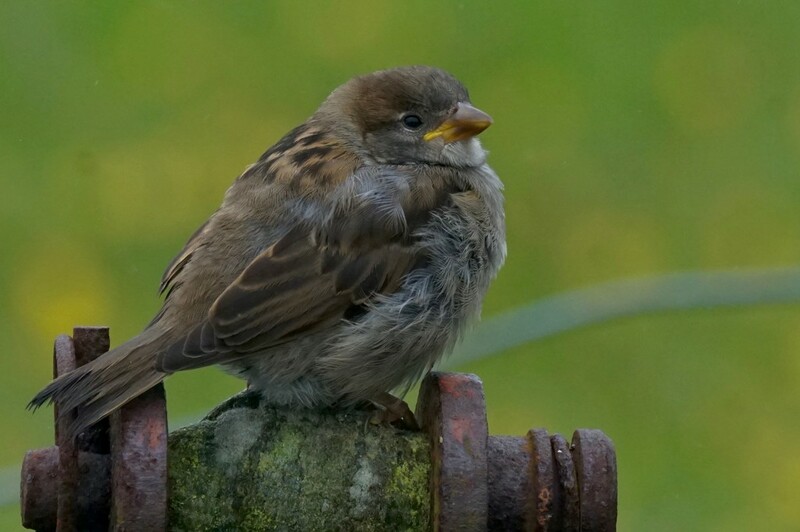 One of many young Sparrows around the farmyard, some looked a lot wetter than this one. Fabulous shot! He does look a bit sorry for himself.